The National Writers Union will be hosting an open mic on Monday, July 20, starting at 6:00 p.m. at Bookmans on Grant in Tucson. The open mic is for spoken word only but is open to all forms of spoken word (fiction, essays, poetry, articles, polemics, etc.). So bring something to read! The event will be held in the community room of Bookmans Entertainment Exchange at Grant and Campbell in Tucson (1930 E. Grant Rd. ), which is in the back of the store behind the children’s literature section. There is ample free parking. Also please note that we will be starting earlier than we have traditionally done — at 6:00 instead of the 6:15 — and will have the room until 7:30. The National Writers Union will be hosting a reading and open mic on Monday, June 15, starting at 6:00 p.m. at Bookmans on Grant in Tucson. This month Greg Evans, a member of the NWU Tucson Steering Committee, will briefly discuss an article he has just completed on an “economic bill of rights” for freelancers. The article addresses issues such as the lack of collective bargaining rights for freelancers and the need for freelancers (and the growing class of temporary and contract workers) to be able to obtain a full benefits package. This will be followed by an open mic that is for spoken word only, but is open to all forms of spoken word (fiction, essays, poetry, articles, polemics, etc.). So bring something to read! Read on to learn about our upcoming show! What happens when we go wild? Chandelier swinging, lampshade wearing, or simply retreating into nature. Come take a walk on the wild side with us! 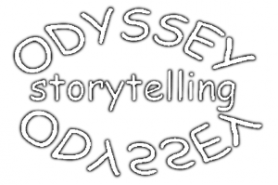 For storyteller bios, visit our website. This show is curated by Carolyn Langford Hussein Fort. The Screening Room: 127 E. Congress St.
*Advance ticketing is now open seating (not a specific seat). No waiting in line, though! Just be sure to PRINT YOUR TICKETS at home and show them at the door. Where do I park downtown? Got Stories? We want them. 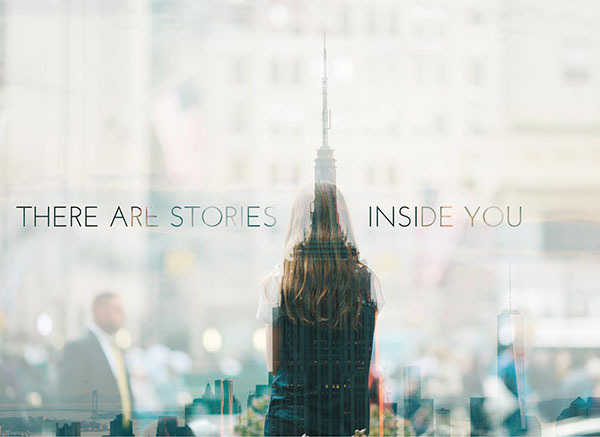 To submit your story for consideration, send us a one-paragraph synopsis of your story and a brief bio about you. Copyright © *2013* *StoryArtsGroup*, All rights reserved. The National Writers Union will be hosting a reading and open mic on Monday, February 16, 2015 starting at 6:00 p.m. at Bookmans on Grant in Tucson. This month Christina Farnsworth, former senior editor at Professional Builder magazine and long-time writer on real estate, will be the featured reader. She will be reading from blogposts she has written for Green Builder magazine on the subjects of climate change and environmentally friendly building materials, methods, and technologies. Christina is a life member of the National Association of Real Estate Editors (NAREE) and is a winner of three Jesse H. Neal National Business Journalism Awards. She is the writer of numerous articles appearing in popular publications, such as Better Homes & Gardens, and the author of such home design and construction books as The Home Remodeler (1992). The event will be held in our new location, the community room of Bookmans Entertainment Exchange at Grant and Campbell in Tucson (1930 E. Grant Rd. ), which is in the back of the store behind the children’s literature section. There is ample free parking. Also please note that we will be starting earlier than we have traditionally done — at 6:00 instead of the 6:15 — and will have the room until 7:30. Boost Your Business and Career Through Better Writing will be held Jan. 30th in the 2nd floor conference room #235 at 7400 N. Oracle from 8:30–12:30 (north of Ina on east side). Sign up NOW to attend this skills-building WordShop. To register, call520-615-7910 or email editor@BarbaraMcNichol.com or online with a credit card at Eventbrite. Here’s the link. Invest in improving EVERYTHING you write! P.S. Thanks to John Singer and his firm Professional Development Strategies (PDS) for hosting this upcoming WordShop. Sign-up deadline is January 29th. Copyright © 2015 Barbara McNichol Editorial, All rights reserved.